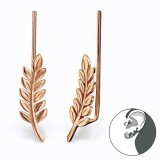 Some ear pin wholesale pieces are gold coated, some have a sweet rose hue, while others feature crystals that catch the light every time the head turns. 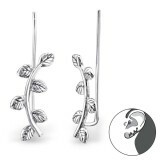 Yet, our entire collection here at We Silver Jewelry Wholesale is safe, durable, comfortable, and adorable. 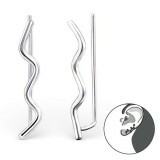 In spite of their unique design, each piece of our ear pins is made of sterling silver and thus they are all perfectly safe for your customers to wear. 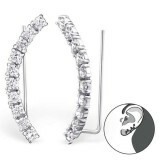 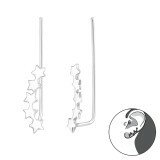 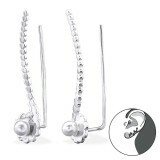 They are easy to wear and designed to remain put in order to decorate the ear without causing annoyance or discomfort. 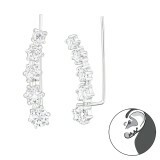 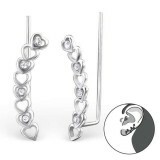 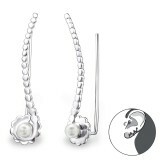 Getting high-quality ear pins and paying the lowest wholesale prices in the market is 1 click away. Why don't you make it? 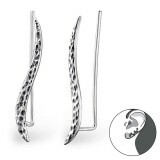 The designs are exquisite and will fascinate the most demanding fashionistas at your store. 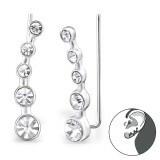 Get 5% off on your first order. 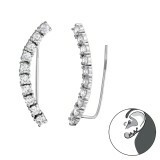 Get free shipping with orders above $499. 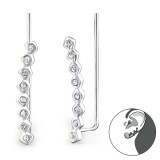 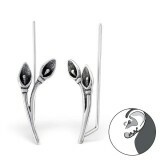 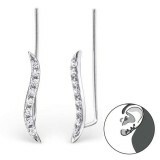 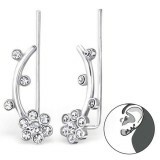 Check out the fabulous styles and shapes of our wholesale ear pin collection.